The new NAV SPC models have a 46mm case. The dial incorporates an easy to read walking speed tachymeter in miles per hour. The models employ a movement with a GMT function enabling the wearer to set a second time zone. In order to facilitate navigation with a map, the newly designed watch strap features three common map scales as well as an inch/cm measurement and comparison chart. It also holds a removable compass. XL.8832.MI. 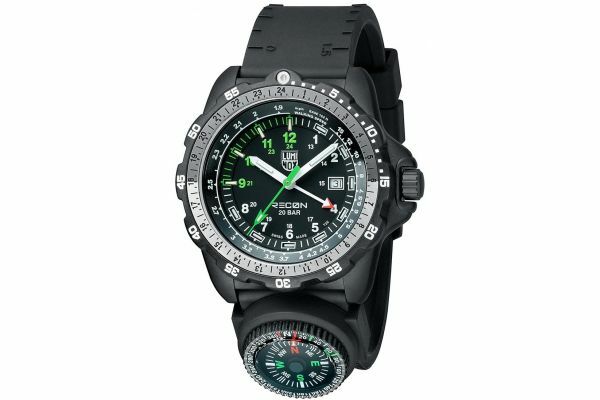 For us to size your new Luminox Recon Nav watch as accurately as possible, please take a look at our downloadable Watch Sizing Guide.